How Do I Capture and Record Slow Motion Videos on iPhone? 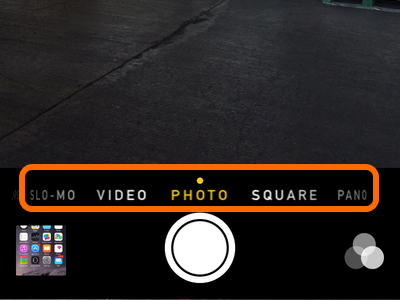 iPhone’s built-in Camera app has the ability to record slow motion videos. iPhone 5S users can record at 120 FPS (frames-per-second) while iPhone 6 and iPhone 6 Plus users have an extra 240 FPS mode. Aside from recording slow motion videos with amazingly smooth quality, the feature lets you choose a certain part of the video that you want to highlight using the slow motion effects. If you are interested in learning how to capture your own slow motion videos, read on. 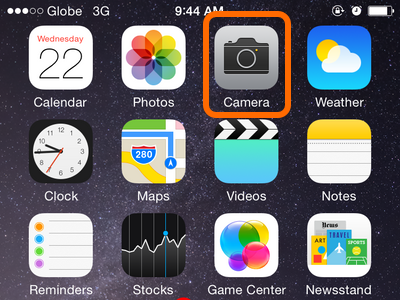 2.From the Home screen, locate the Camera app. 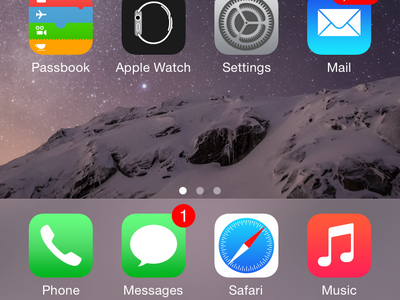 Tap on the Camera icon to open the camera application of your iPhone. Make sure that you tap on the native camera app and not on a third-party camera application. 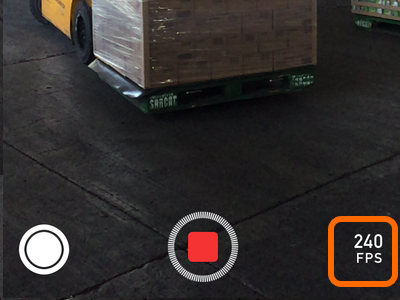 3.On the Camera app, locate the camera slider on the lower part of the screen. The slider lets you choose among different camera functions. 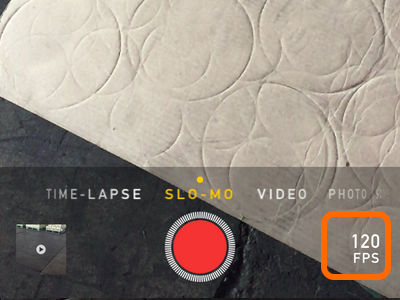 4.Move the slider so that it shows the Slo-Mo mode. This is the slow-motion camera mode. 5.Wait for the perfect moment to capture your video. 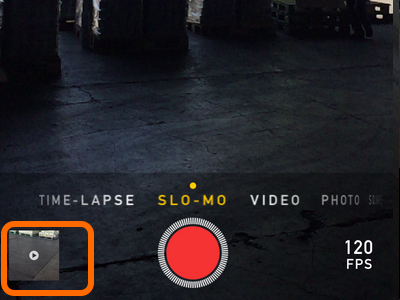 Tap on the record button to start recording your video. 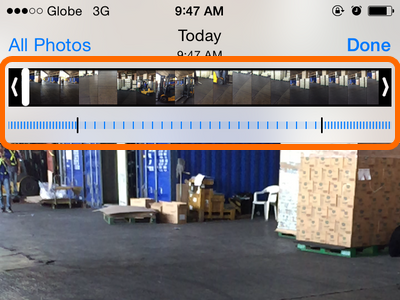 6.After recording, tap on the video thumbnail located on the lower-left part of the screen. 7.The latest video that you captured will be displayed. Tap on the play button, and see your video in slow motion. You are done. 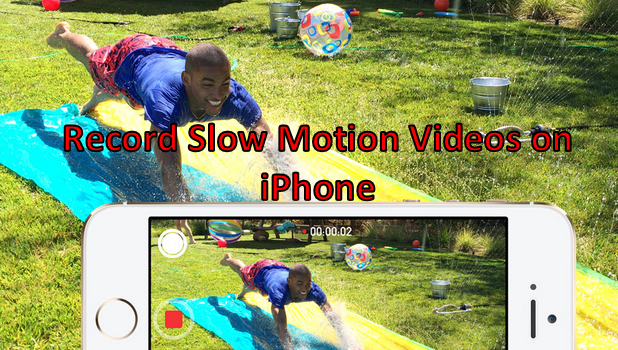 How Do I Switch Between 120 FPS and on 240 FPS When Recording Slow Motion Videos on iPhone 6? 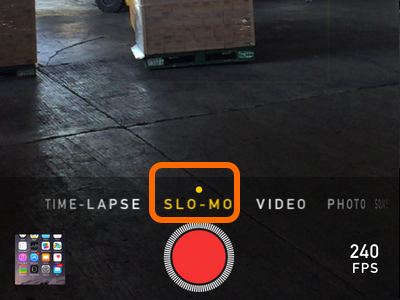 1.On your Camera app, use the slider to go to Slo-Mo mode. 2.Once you are in Slo-Mo mode, tap the frame rate speed indicator at the lower-right part of your screen. 3.Tapping on the indicator lets you switch between 120 FPS and 240 FPS. You are done! How Do I Manually Select Moments That Will Be on Slow Motion on iPhone? 1.Open the Camera app on your iPhone. 2.Tap on the video thumbnail located on the lower-right part of your screen to go to the last video you captured. Choose the slow motion video that you want to edit. 3.Once you are on the selected slow motion video, you will notice a timeline on the upper-most part of the video. This is your video’s timeline. 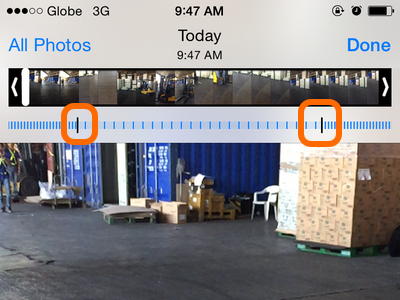 4.Using the sliders, drag the moments that you want to capture in slow motion. The video time between the sliders will be played back in slow motion. 5.Press the Play button to see a preview of your video. Use this as an opportunity to see anything that you want to adjust. 6.When you are happy with the results, tap on Done, and the video will be saved. You are done. Did you have any issues with any of the steps above? Do you have a slow motion video that you want to share with us? Let us know in the comments section. We would love to see your slow motion videos!